Join us for an Irish themed Christmas Spectacular and Riverdance Extravaganza. 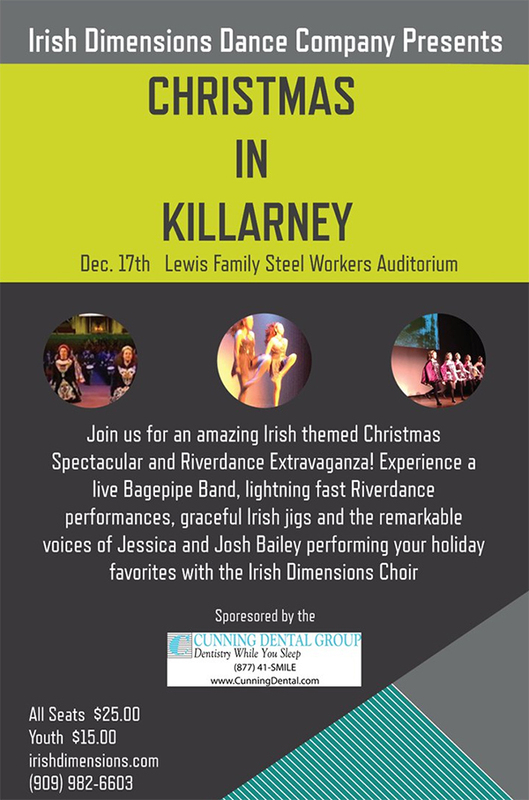 Experience a live bagpipe band, lightening fast Riverdance routines, graceful Irish jigs and the remarkable voices of Jessica and Josh Bailey performing your holiday favorites with the Irish Dimensions Choir. PLEASE BE SURE TO PRINT YOUR TICKETS AT HOME AND BRING TO THE THEATER. YOU WILL NOT BE ALLOWED ENTRY WITHOUT THEM.